Meet at 10am in Ellison’s Pond car park. This car park is on Crowborough Road, the road with two cattle grids running from the A22, just north of Nutley, to the B2026, just north of Duddleswell. It is the one nearest to Duddleswell opposite the Hollies car park. 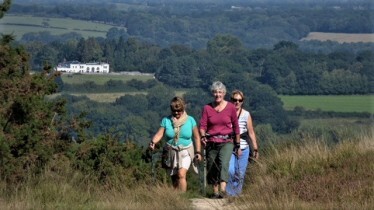 This is a new route for the Ashdown Striders. It follows the Weald Way (with 3 stiles) then back across open heathland. It is quite wet underfoot so boots and waterproof trousers or gaiters are recommended. There should be some nice views if it stays clear. For more information about the group and how to contact the organiser to book a place, click on Ashdown Striders and scroll down to the bottom of the page. The next walk is scheduled the 24 February.